You are here: Home / Ethnic Groups / The People of Sulawesi / Who are the Konjo Pegunungan? The Konjo people cluster consists of two groups: the Konjo Pegunungan (mountain) and the Konjo Pesisir (coastal) in the South Sulawesi province. As their name states, the Konjo Pegunungan (“of the mountains”) primarily live in the mountainous region of Konjo in South Sulawesi. They use the Konjo language, which is part of the Makassar language family. It is similar to other South Sulawesi languages. Most Konjo Pegunungan people live as farmers. Most of them practice a crop-dividing system. In this system, the farm workers receive one-half to one-third of the profits, depending on who paid for the seed and planting needs. Most farmers own two to three hectares of land. Peanuts and tobacco are the main crop grown for trading purposes. They often use gotong royong, a pattern of mutual cooperation. These activities include building houses, preparing for parties, and harvesting crops. Everything done is noted and reciprocity is expected when needed. Hospitality and social interaction are also very important. If a Konjo Pegunungan person passes someone he knows and is not greeted, he is offended. Offense is also taken if a person does not stay involved in the conversation. Business transactions are done in the midst of much talking and chatting. The Konjo Pegunungan welcome guests and newcomers. They ask a lot of questions about the outside world and carefully study new things. They seem ready to receive some changes, such as tools or other things that are beneficial for them, but are very resistant to changing traditional customs and beliefs. Their motto is: “kami tidak akan membuang peraturan adat” (We will never throw out our traditional way of life). Even in ceremonies, new ideas can be welcome additions to the old ways, but will never replace them. 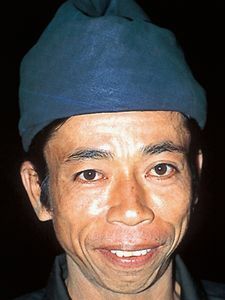 Although the Konjo Pegunungan people have embraced Islam, most of them keep animistic practices. Even the most devout Muslim fears the spirits. When there is conflict between the teachings of Islam and their traditional beliefs, the traditional practices win out. At the same time, any ceremony is considered incomplete without a reading from the Qur’an. Currently the Konjo Pegunungan need assistance in implementing better irrigation to increase crop yield. In addition, they need better management for their commercial agricultural enterprises.